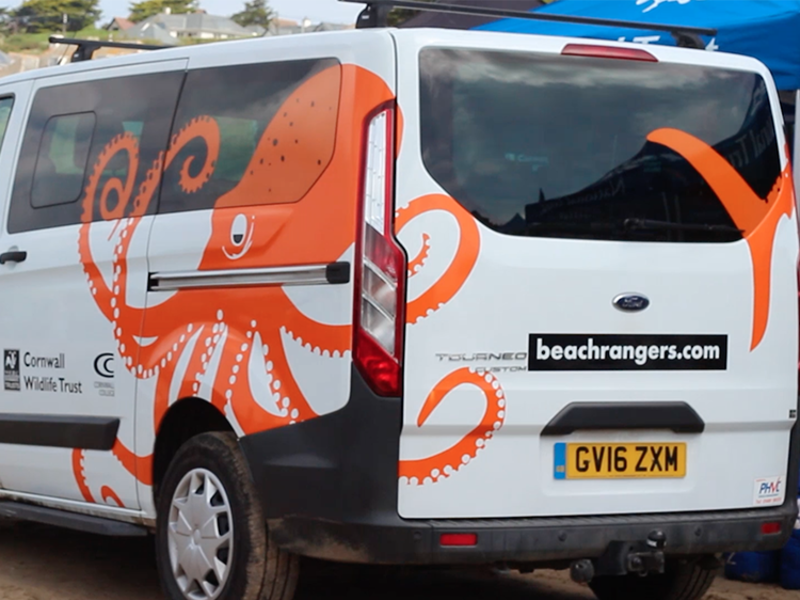 We went along to Polzeath Marine Discovery Day to catch up with one of our Cornish clients, Your Shore Beach Rangers. Organised by the Polzeath Marine Conservation group, it was a day of fun beach activities with the likes of Cornwall Wildlife Trust, National Trust and Surfers Against Sewage sharing what they do to protect our shoreline. In the film above, we speak with Natalie Gibb about Your Shore Beach Rangers, which is a Cornwall Wildlife Trust and Cornwall College initiative to encourage communities to engage in their local marine environment. When talking about the branding work Dewsign did in collaboration with illustrator Nick Radford, Natalie says "they came up with a fantastic, fresh brand, which is really different. You can see today that our gazebo definitely stands out!" After a day of chatting with the public about Beach Rangers and teaching local young people about sustainable fishing, Natalie and her colleague Jen headed out to take a group of families rock pooling and find out more about the Cornish shoreline.